We know people don't want to stand by a Hand Dryer,and wait so long time until hands dry.But this is a high speed and super fast dry hand dryer. With 21000RPM motor speed, 90 M/S air speed , for 10-15 seconds,your hands dry. The stainless steel 304 body makes it more luxury and solid. There is a HEPA system set in, makes the wind antibacterial, and a water pan under. It is efficient and energy saving sensor hand dryer. Looking for ideal New Design Hand Dryer Manufacturer & supplier ? We have a wide selection at great prices to help you get creative. 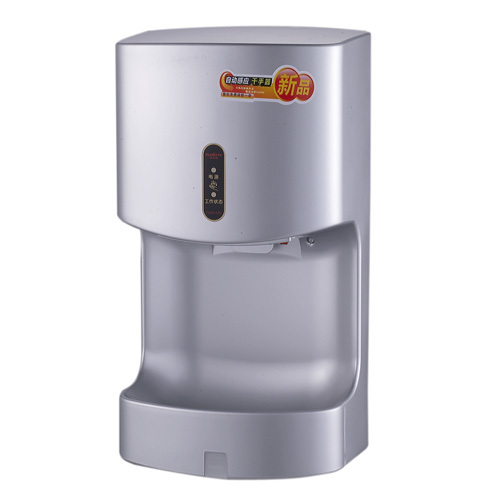 All the Brushless Motor Hand Dryer are quality guaranteed. We are China Origin Factory of Brushless Hand Dryer. If you have any question, please feel free to contact us.